A senate bill that would allow a public school to exceed maximum class size for one semester failed to get through the House Committee on Education this morning. Proponents of SB76 argued that waiving the maximum at mid-semester if a class was at or below the maximum when the semester began would be less disruptive for students than creating a new class and would allow administrators time to hire the most qualified teacher. Opponents stressed the detrimental effects of increasing class sizes and expressed concern that such an increase would create a trend. The bill failed on a voice vote. Rep. Bill Gossage presented HB1183 that would require public high schools and public charter schools to offer a course in computer science. Saying the bill would allow students to produce technology rather than just consume it, Gossage explained the requirement to offer the course would not increase the number of credits needed for graduation nor replace other courses. ADE Deputy Commissioner Mike Hernandez said that one computer science course will be offered free for one year to any school via Virtual Arkansas, an online delivery system through the Arch Ford Co-op. The House education committee voted to give HB 1183 a Do Pass recommendation, and the bill moves on to the Senate education committee. 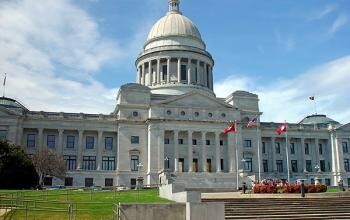 Watch for an update tomorrow following the Senate Committee on Education meeting.